Carrot leaves, watermelon peels, fish innards, pork blood, meat bones—in the modern urban kitchen, these end up being thrown away. However, if you were to watch Wasted! The Story Of Food Waste, a 2017 film by Anna Chai and Nari Kye, co-produced by the late Anthony Bourdain, you would begin to look at discards differently. The 90-minute documentary offers some grim facts: About one-third of the food grown annually for human consumption ends up in the garbage, that too at a time when 800 million people around the globe are starving. But it adds that waste need not be depressing—rather, it’s delicious! And chefs such as Prateek Sadhu of Masque, Mumbai, agree. “We like to think that all waste is just another product to experiment with,” he says. The idea of using discards is steeped in tradition. Today, however, this age-old practice has been branded as “zero-waste cooking”, or compost cuisine, by the food and beverage industry. The National Restaurant Association, US, has even listed it as one of the top predictions in the What’s Hot 2019 culinary forecast. “Zero-waste cooking is a sign of the times. Millennial and Gen Z customers in particular expect the restaurants they patronise to be more eco-friendly,” says Hudson Riehle, senior vice-president (research) of the association, in a media statement. Several chefs in India are using these principles of ethical cooking. For instance, at Oi!, a Latin American-inspired kitchen and bar in Mumbai, consulting chef Anuroopa Banerjee Gupta makes a slow-cooked cauliflower in which the stem is cooked with soy milk, cashews and almond paste, and then puréed. In another preparation, baby pumpkin is cooked for 18 hours so that even the skin becomes edible. While the purple sweet potatoes are cut into chips for certain dishes, the remaining are cooked with cumin and puréed. This is in sync with the standard practice in most Indian kitchens—born out of frugality and resource conservation—where home cooks would find innovative uses for discards. Similarly, at Toast & Tonic, Bengaluru, whole chickens are smoked, with the meat being used in dishes and the leftover bones in the broth. The skin is fried until crisp and used in the soft-shell crab fried rice. While the leftover asparagus stems go into the soup, the celery leaves are turned into a pesto and house-made salt. All the scraps and trimmings go into stocks, to add a certain umami to them. “A few days ago, a team member was roasting eggplant for the baba ganoush. Usually, the charred skin is discarded, but it still has a few bits of flesh left. So I dunked that into the veg stock, which simmered away till it turned into a smoky, viscous liquid, waiting to be converted into jus,” says Manu Chandra, chef partner, Toast & Tonic. Sadhu talks about the recent 8 Hand Dinner collaboration (with chefs Matthew Orlando, Ivan Brehm and Trevor Moran) as a prime example of zero-waste cooking. It began with a course of poached barramundi and millets; and as the chefs brainstormed ideas off one another, one decided to use the fish skin in a crispy salad; someone else thought of cooking down and puréeing the bones and head, then adding starch and making noodles out of that. “Literally every part of the fish was utilized across that menu,” he says. This philosophy is being extended to the bar programme of establishments across the country. At Hunger Inc’s restaurants, O Pedro and The Bombay Canteen in Mumbai, simple processes, and effective coordination between the bar and food kitchens, can go a long way in making a difference. For instance, once the limes have been juiced, the skin goes to the kitchen for pickling. “At O Pedro, yolks are used for the egg tart, and whites are used in cocktails. Then, there is a dish called chhole tacos at The Bombay Canteen, for which the chickpeas are soaked in water. We use that water in the bar as aquafaba, to substitute for egg whites in cocktails,” says beverage manager Rahul Raghav. The leftover garnishes are dehydrated for use in infusions and bitters. Interestingly, potato peel is converted into liqueur. The use of plastic has been cut down to a huge extent, with the use of bamboo straws and dehydrated sugar cane mimicking stirrers. Chefs are steering clear of cooking huge batches of food, or turning out plates heaped with large portions. For instance, Gupta only slow-cooks food in small batches. She does a 48-hour cooked lamb dish with only 5kg of produce. “If I sell out, then I sell out. I tell customers to pre-order the dish. I am not going to make 20kg and then let it go waste,” says Gupta, who has opted for two deep freezers instead of an extensive cold storage. 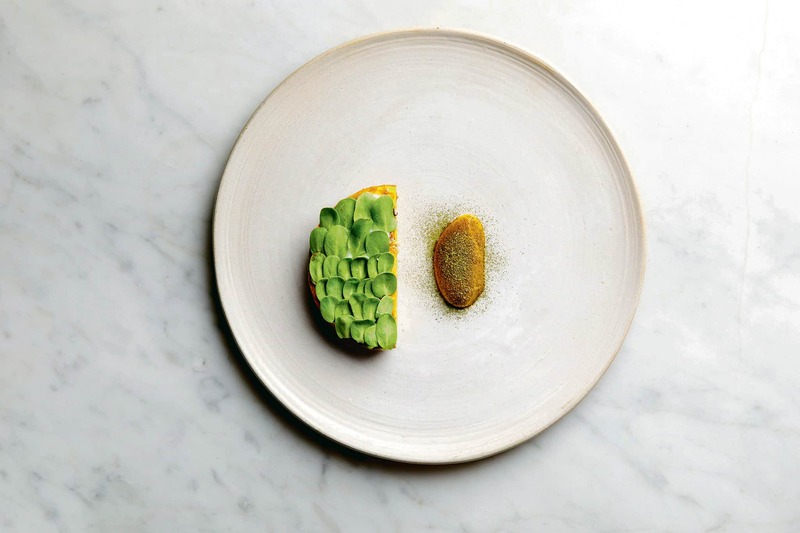 At Masque too, it helps that the restaurant only serves tasting menus and works largely on prior reservations. “This way, we get a headcount of how many vegetarian or non-vegetarian portions we will be serving each night, and can prepare accordingly,” says Sadhu. 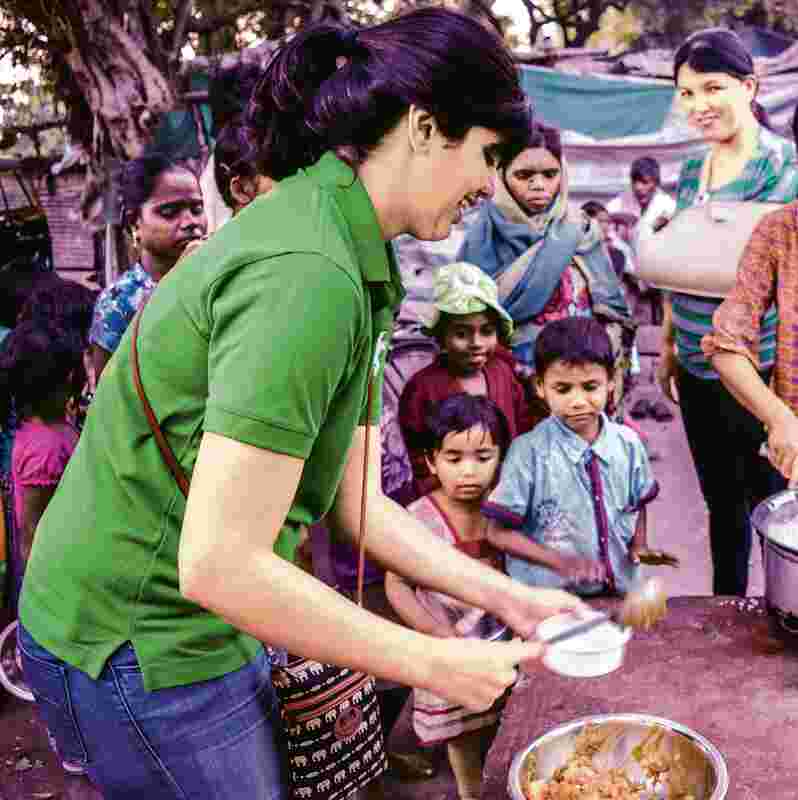 Restaurants, and even home kitchens, are now also enlisting the help of volunteer organizations such as Feeding India and Robin Hood Army that help them make productive use of waste. “People are unaware of the extent of hunger problem. Nearly 7,000 people die of hunger every single day,” says Neel Ghose, co-founder of Robin Hood Army. A volunteer of Robin Hood Army. While Feeding India works with 3,000-4,000 restaurants and hotels in 72 cities, such as Sahara Star, Four Points by Sheraton and Massive Restaurants, Robin Hood Army’s network is spread across 120 cities, with an average of 15 eateries in each city including the LaLiT hotels. Volunteers from both organizations collect surplus food from restaurants, perform a series of quality checks and distribute it among the less fortunate. “We work closely with the Food Safety and Standards Authority of India as well to keep checks,” says Srishti Jain, co-founder, Feeding India. 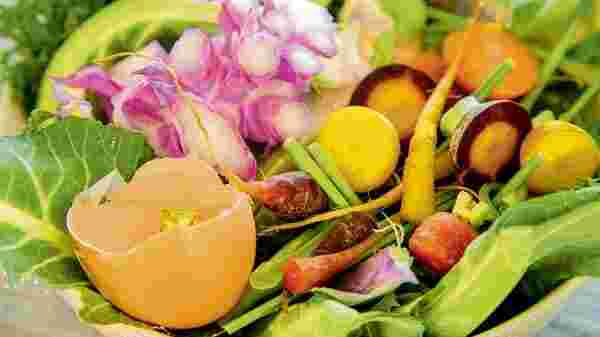 Composting is another trend that is slowly growing across professional restaurants. At hotels such as Suryagarh, Jaisalmer, peels are used as compost in the organic garden, and leftover seeds are used to grow produce. At The Oberoi, Mumbai, a state-of-the-art organic waste converter transforms all organic food waste into manure. Chefs hope that zero-waste cooking will not end up as a fad. “Responsible cooking shouldn’t be treated as a trend, as trends tend to fade. This is something that needs to stay. It is these practices that make cooking ethical,” says Chandra.